This weeks Mixtape is for the Ladies ! The original No Dudes Allowed was released fittingly on Valentines Day. A tribute to the ladies packed with the most classic female vocalists of all time updated into a modern world of electro, progressive, and pop-house music. 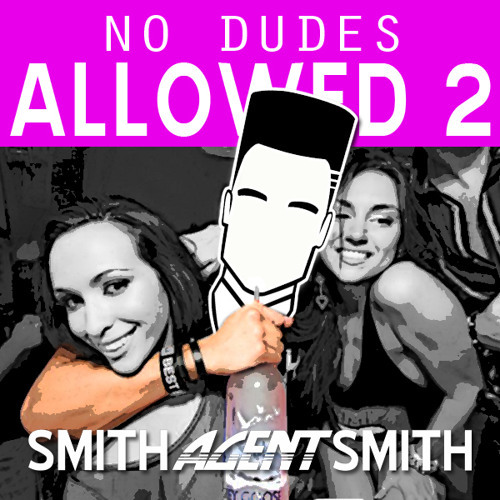 Fittingly, SmithAgentSmith has released the sequel No Dudes Allowed 2 on Thanksgiving, beginning with a vocal from Christina Aguilera’s classic pop hit “What a Girl Wants.” It seems that from the feedback of No Dudes Allowed, Smith knows what the girls want. More music, less dudes. No Dudes Allowed 2 is longer, and packed with more music. With the same high energy style as the original, NDA2 is a no brainer for ladies preparing for the party. Brtiney, Christina, Ellie, Adele, Janet, Beyonce, Madonna, Eva, Rihanna, and many many more. 66 songs total packed into 58 minutes of the best of the best from female vocalists. View the tracklist and press play. Before you know it, you’ll have a smile on your face while dancing in the mirror, an hour will pass and this mix will end. Feel free to press play again. Noone will blame you. Want your Mixtape featured on MIXTAPE MONDAY? hey guys, thanks for this post of my mixtape. I would really appreciate if you could check out and post one or both of my new mixtapes … https://soundcloud.com/itsagentsmith … they are at the top of the spotlight!